1. The Chief Justice is often called the "first among equals." 2. Before the Supreme Court was built in 1935, the justices met in the Capitol Building. 3. The Chief Justice swears in new Presidents during their inagurations in January. 4. There has never been a female Chief Justice. 5. Justices wear black robes when hearing cases. 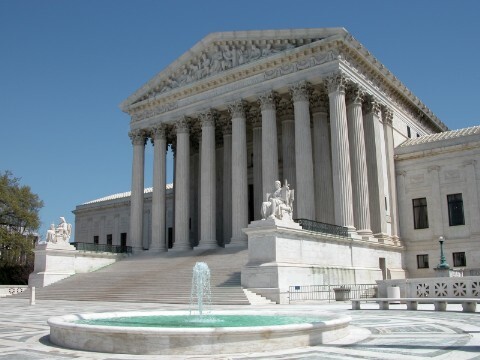 The Supreme Court is the head of the Judicial Branch of the American government. It is the highest court in the United States. The Supreme Court reviews and explains the laws. Presidents nominate justices to the Supreme Court. Justices are nominated for life terms, but may choose to retire early. There are nine justices on the Supreme Court. The highest justice is called the Chief Justice. The current Chief Justice is John G. Roberts, Jr.
His full name is John Glover Roberts, Jr., and he was born on January 27, 1955. 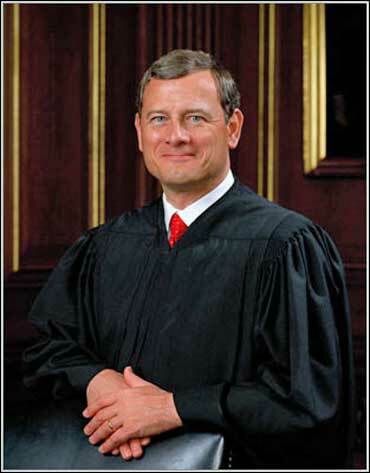 Roberts is the seventeenth Chief Justice of the United States. President George W. Bush nominated Roberts to be the Chief Justice. The supreme law of the United States is the Constitution and the Supreme Court interprets the Constitution. 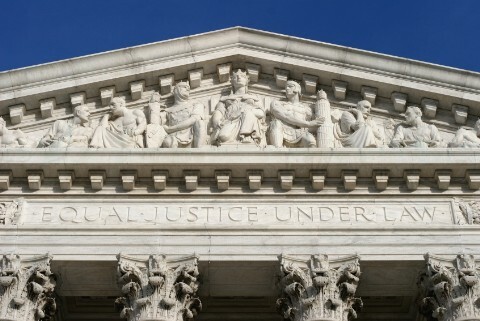 Above the courthouse doors of the Supreme Court it says: EQUAL JUSTICE UNDER LAW. The Supreme Court building is located in Washington, D.C. across from the U.S. Capitol Building. Chief Justice Roberts, Supreme Court of the United States, One First Street N.E., Washington, DC 20543. 1. How many Supreme Court justices are there? 2. Who is the currrent Chief Justice? 3. How long do justices serve? 4. What is the supreme law of the United States? 5. Who nominates Supreme Court justices? Copyrights to the pictures and photos on this EL Civics website belong to individual photographers. We have purchased the rights to use them. Do not copy the images on this educational website. Permission is granted to download any of the worksheets for classroom or home study. You may link to any page of this website. Contact Christina Niven, ESL teacher, at christina@elcivics.com. Please send corrections, comments, and requests for new lessons. Copyright © Christina Niven, 2007.